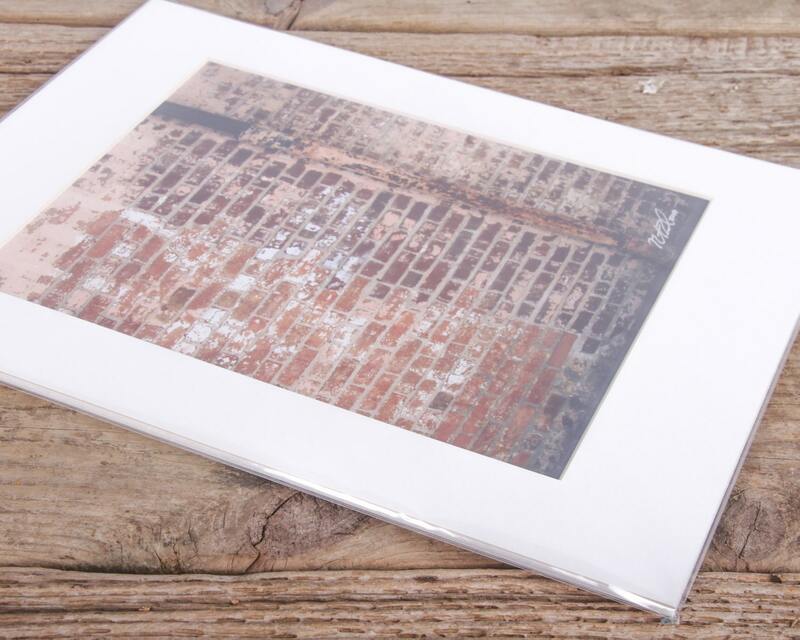 This is an original, signed fine art photograph. 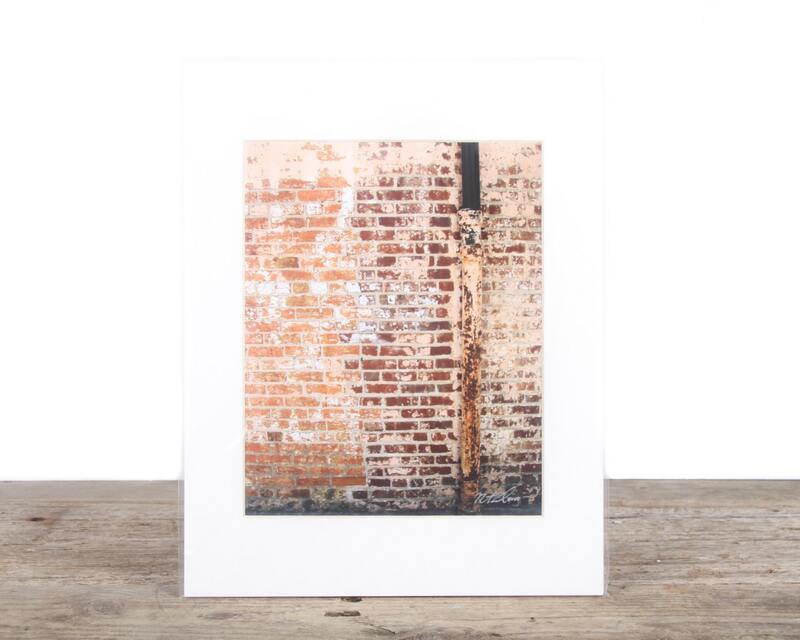 The print features a rustic brick wall and drain and was taken in St. Louis, MO. The 8"x10" print has been mounted in an acid free 11"x14" matte, and it comes in a plastic sleeve - perfect for gift giving. - All images were shot by me and have been professional printed. - We ship prints USPS Priority.